In mid-May, I headed down to Napoli for a excellent wine show called Vitigno Italia. While there are several dozen wine fairs in Italy throughout the year, this one is special, as it is dedicated solely to wines made from indigenous Italian varieties. So while you won’t find any examples of Cabernet Sauvignon, Merlot or Chardonnay here, you will be able to taste some glorious wines made from Greco, Fiano, Aglianico, Nero d’Avola and hundreds of other local varieties. I attended this event three years ago when it was held in a modern, efficient campus on the outskirts of Napoli. I enjoyed it then, but this year the show was on a much grander scale as more wineries participated; primarily a showcase for wine estates of the south and especially Campania in its first few years, there are now more exhibiting wineries from other regions of Italy, including Friuli, Marche, Veneto and Tuscany. 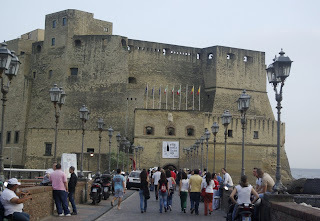 A big change this year was the fair’s new locale, the historic Castel dell’Ovo right on the shores of the Gulf of Napoli. Not only was this more convenient for most importers and journalists attending the fair, this was also an important change for the overall goal of the fair, founder Chicco de Pasquale. The evening before the event began, de Pasquale gave a number of us a pep talk as he told us how important it was to communicate the emotion of authentic Italian wines. He mentioned how he had traveled to many other parts of the world and had tasted the local wines, only to find so many of them tasting the same. He believed that if the message of the uniqueness and history of Italian wines was to come across, the fair needed to be in a historic venue. Comparing the old location with the new, it is clear that de Pasquale succeeded in his quest. Not only was this a more appropriate setting to taste these wines, it was also a slice of everyday life in Napoli –a nice side benefit! As this is still an event that focuses on Campanian wines – and as these are among my favorite of all Italian wines – I will focus on some of the best I tasted at the fair. 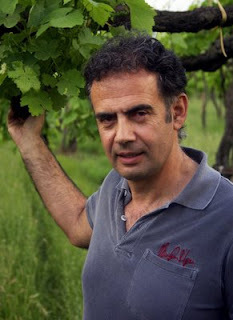 Let’s start with Terredora, a great family estate owned by Paolo and Lucio Mastroberardino. 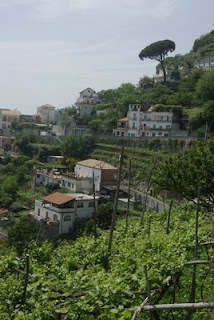 One of Avellino’s most consistent estates, they delivered again with their new 2008 whites. This is an excellent vintage, a bit lighter than 2007, but with fine depth of fruit and beautiful structure; highly recommened are their new bottlings of Greco di Tufo “Loggia della Serra” and Fiano di Avellino “Terre di Dora.” (Vias is the national importer.) Another winery in this area that offered beautiful whites was Villa Raiano, with a lovely aromatic 2008 Greco di Tufo and a stylish 2008 Falanghina with pinpoint acidity. I also tasted wines from several estates in the province of Salento, just south of Napoli. One of this area’s great producers is Luigi Maffini, who specializes in Fiano; the 2008 Kratos sports lovely aromas of pear and acacia and has the structure to age for 3-5 years, while the barrel fermented Pietraincatenata from 2007 is deeper in color with notes of honey and almond with a light touch of minerality. His best wine at this event for me was the 2004 Fiano Passito, an incredible dessert wine with such wonderful concentration and such lush fruit, yet so incredibly delicate. This is truly one of the very best examples of a passito wine I’ve tasted from Italy! From the Amalfi Coast, three excellent producers: Tenuta San Francesco, with a beautiful 2008 white, blended from local varieties Biancolella, Falanghina and Peppella along with an excellent blended red called Quattro Spine, made from Aglianico, Piedirosso and Tintore. 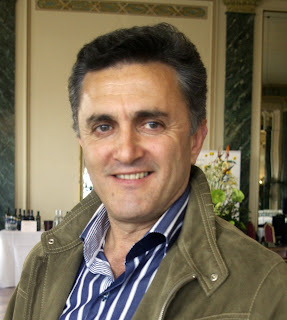 From Giuseppe Apicella (imported by Wine Emporium in Brooklyn), several first-rate efforts including the 2008 Tramonti Bianco, named for the town where his vineyards and estate are located; one of my favorites examples of rosé (rosato) from Italy – the 2008 is made from Piedirosso and Sciacinoso and is dry and very rich – and his signature wine, the A’Sciappata Rosso. This was the 2004 release; a blend of Tintore and Piedirosso, this offers excellent concentration with black fruit and tar notes, firm tannins and beautiful acidity. This is a great representation of local terroir; it should offer drinking pleasure for 10-12 years. The final Amalfi Coast producer whose wines I tasted was Cantine Marisa Cuomo. 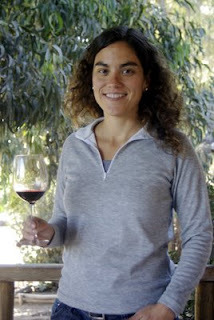 Marisa and her husband Andrea Ferraoili have been blazing viticultural trails in the Amalfi Coast for several years and their efforts have been recognized in local and international media. Everything they make – red, white and rosé - is first-rate and a few of their wines are outstanding. 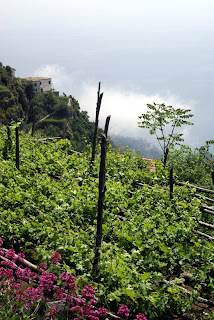 Particularly good this year are the 2008 Ravello Bianco, the 2008 Furore Rosso (Furore is the gorgeous coastal town where their estate vineyards and winery are located) and the 2005 Ravello Riserva. This last wine is a blend of 70% Piedirosso and 30% Aglianico, giving this wine great complexity, spice and structure. The dominant Piedirosso means this wine is approachable now, while the tannins of the Aglianico give this wine the means to age for 7-10 years more. That’s just a few of the wines I tasted at Vitigno Italia – and that was just Campania. Congratulations to Chicco de Pasquale and his staff for organizing such a excellent event! I just returned from a two-week trip to Italy - this time focusing on Piemonte and Campania. I’ll report on the new wines I tried in upcoming posts, but for now I’m writing a special entry, as this was my 40th trip to Italy. This is all about my love affair with Italian wines, food and its citizens in general, so here is a brief list of what I love most about these topics. 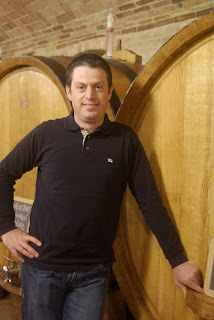 First and foremost, I have to mention the generosity and friendliness of the wine producers of Italy as well as the rest of its residents I’ve met over the past nine years. There are kind people everywhere, but Italians for me are the most gracious of all. They’re always asking if you have a nice place to stay or you’ve selected a good restaurant for lunch or dinner; if not, they’re glad to recommend somewhere. This is not just from producers I know, it’s been my experience with total strangers as well. Italians just have it in their DNA to be friendly; it’s a basic as that. From the dramatic hillside vineyards in Alto Adige and Piemonte in the north to the extreme viticulture along the Amalfi Coast in the south, Italian viticulture is among the most specialized and remarkable in the world. A simple drive on the main road from Alba to Barolo is a dream come true for any wine lover or even just a lover of nature. Great food is a constant in Italy, but nowhere are the more excellent places to dine than in the province of Cuneo in Piemonte, especially in and around the town of Alba. This includes the Barolo and Barbaresco zones, so given the quality of these wines along with the local products, it’s no surprise. Among my favorite dishes that are classics in this area are agnolotti al plin (small ravioli stuffed with meat or a vegetable such as spinach) or coniglio al brasato (braised rabbit). 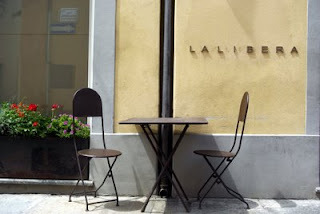 There are too many restaurants to name; a few include Le Torri in Castiglione Falletto, Bovio in La Morra, Profumo di Vino in Treiso and Trattoria La Libera in Alba. The town of Tramin in Alto Adige is the home of the Gewurztraminer grape. While there are other areas in this region that yield excellent examples of Gewurztraminer, the finest are from Tramin. There are three examples in particular: "Nussbaumer" from Cantina Tramin, "Kastelaz" from Elena Walch and "Kolbenhof" from J. Hofstatter. Each of these displays the gorgeous perfumes of grapefruit and lychee along with distinct spice and a lush, rich entry on the palate and are gorgeous food wines. Falanghina is becoming a big success story in several zones in Campania; this is a flavorful white with pear, lemon and quince flavors and vibrant acidity. Finally, look for the rare whites from the Amalfi Coast, which are usually intensely flavored and high in acidity. A few recommendations: 2008 Mastroberardino Greco di Tufo “Nova Serra” (one of the best examples ever of this wine), 2008 Greco di Tufo “Cutizzi” from Feudi di San Gregorio, 2008 Fiano di Avellino Terredora “Terre di Dora”, 2008 Falanghina from Vinosia, 2008 Tramonti Bianco from Giuseppe Apicella and the 2007 Fiorduva from Marisa Cuomo (these last two wines are from the Amalfi Coast). Look for most of these wines to be in the $20- $25 price range, with the Cuomo retailing for about $45). Grown most notably in Piemonte, this is the grape that is the sole variety used in several great red wines of that region including the famous Barolo and Barbaresco as well as Roero Rosso and Nebbiolo d’Alba. Unlike some international red varieties that scream of ripe black fruit and display deep color, a well made Nebbiolo has a garnet color and aromas of red fruit (cherry, currant) and notes of tar, orange peel and nutmeg. The aromas and flavors of Nebbiolo, especially as expressed in Barolo and Barbaresco take you to another level. Wines made from Nebbiolo are especially wonderful with ligher game or poultry. 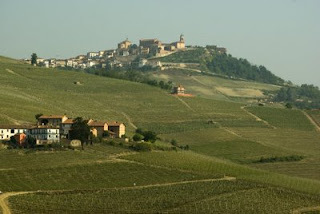 Try a Barbaresco from producers as such Produttori del Barbaresco or Rizzi for a true representation of this wine, while producers such as Elio Grasso, Marcarini, Giovanni Rosso and Ceretto are among the dozens that craft outstanding bottlings of Barolo that offer beautiful sensations of terroir. This is the most famous example of the Sangiovese grape from Tuscany. At once charming in its cherry and cedar flavors and yet powerful in its capabilities to age for 20-25 years, Brunello is a singular wine. The bottlings from the excellent 2004 vintage are just being released; among those to search out include those from Pian dell’Orino, Il Poggione, Col d’Orcia, Poggio Antico and Talenti. There are so many wonderful dessert wines produced throughout Italy; sadly, these wines rarely get the attention they deserve (a common problem worldwide). Vin Santo, the lush, caramel, apricot, honeyed specialty from Tuscany is most famous, but there are also outstanding examples of Recioto from the Veneto region, including the delightful Recioto di Soave from Garganega and Recioto della Valpolicella, with delicious black raspberry fruit and medium sweetness that pairs perfectly with aged cheeses. This is a fine introduction to modern Italian red wines, offering ripe black fruit, spice and notes of tar, clove and tobacco. These are enjoyable, delicious wines that don’t cost an arm and a leg (most are in the $14-$16 range, while a few of the single vineyard or selezione bottlings can run up to $35 a bottle). Given the recent earthquake in Abruzzo, let's show our support for the hard-working abruzzese by drinking a bottle of Montepulciano d'Abruzzo. No puedes hablar de pasión. Si no lo has probado. It’s a natural thought process to focus on what’s new and trendy and overlook an established commodity. The wine media does it all the time, so it may not be a surprise that you don’t hear much about Carmen Winery in Chile, as it was founded in 1850. But you’d be missing out on some gorgeous wines if you didn’t include Carmen in your list of the best Chilean wine estates. This may be Chile’s oldest wine house, but there have been numerous changes over the past 25 years. 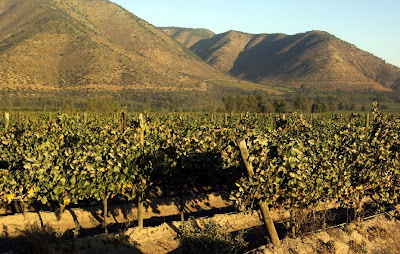 The winery was purchased in 1987 by a new ownership group and a new winery was built in 1992 in the Alto Jahuel section of the Alto Maipo, southeast of Santiago. The Alto Maipo is a very different section of the Maipo Valley than the vineyards in the western reaches of the valley, where the more fertile soils yield pleasant, if unexciting wines. The Alto Maipo, with vineyards at elevations above 2000 feet, is an ideal spot for producing full-bodied wines with excellent acidity, as the cool nights at the high elevations assure proper backbone and structure in the wines. “This is the only place in the Maipo to make great Cabernet Sauvignon,” says Carmen chief winemaker Stefano Gandolini. I won’t go into every wine here, but among the Reserve wines, three stand out in my mind. The 2008 Sauvignon Blanc Reserve (about $15 retail) has nice varietal intensity with flavors of grapefruit and a hint of lime, lively acidity and a long, richly flavored finish. What an ideal choice for ceviche, shrimp or scallops. 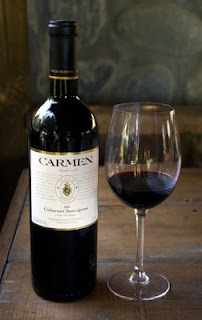 The 2006 Carménère-Cabernet Sauvignon Reserve ($16) has exotic aromas of menthol and oregano with rich black fruit flavors and notes of tobacco in the finish along with round tannins. This is quite elegant and is a perfect foil for most red meats; if you love South American cuisine, this is heavenly with empanadas! My favorite Reserve is the Merlot ($16); given how boring most bottlings of Merlot are, this is saying something. The trick here is that the grapes are from Casablanca Valley, a much cooler region than Maipo. This means better acidity, which gives this wine excellent structure, freshness and a clean, bright finish. This is simply a delicious wine with tasty black cherry and red plum flavors and an elegance from start to finish. If only more Merlots were made with this amount of care! Foods for this- you name it! This is an important wine, not only because it’s well made, but because it’s a well-made Merlot for $16. I’d go out and buy several bottles or a case if I were you! The 2007 Winemaker’s Reserve Chardonnay, also from Casablanca Valley, has Meursault-like qualities about it, with its rich fruit and notable spice. The flavors are quite attractive – pear, pineapple and quince and there’s just the right amount of oak along with a nice touch of minerality in the finish. This has another 2-3 years of life ahead of it and it’s a fine value at $25. The 2005 Winemaker’s Reserve Red is a gorgeous blend of Cabernet Sauvignon, Carménère, Syrah, Merlot and Petite Sirah that is truly something special. Loaded with layers of fruit and boasting flavors of black plum, cassis and milk chocolate, this sports a lengthy finish with elegant tannins and beautiful structure. I see this wine aging well for as long as 12-15 years, making the $45 price tag a steal. How good this wine is with roast pork or most game dishes! Finally there is the 2005 Gold Reserve Cabernet Sauvignon produced from a single vineyard at the Alto Jahuel estate. This vineyard was planted in 1953; the wine displays the intensity and breeding of these old vines along with wonderful suppleness and structure. This is a powerful wine, yet at the same time beautifully balanced with an extremely long finish. It’s excellent now and may just turn out to be outstanding in 12-15 years; like any red wine of this caliber and strength, this needs time to settle down. The price is approximately $70 a bottle, which puts it on an equivalent level with the best red wines of the Alto Maipo. So from an old, established winery, beautiful new wines. Congratulations to head winemaker Stefano Gandolini and the other member of his winemaking team, Sebastián Labbé and Alejandra Vallejo for their outstanding work!